The decision-making model used by church leaders can be vague or clear, unrestricted or structured, informal or fixed. To borrow the metaphor from the previous blog, leaders can move towards a decision by taking the “scenic route” or using the “freeway.” Each has its strengths and weaknesses. But the larger a leadership group grows and the greater the number of decisions the group must make, the more important it is that the decision-making process be clear, structured, and firmly established. If leadership groups want to move towards decisions with integrity and confidence, they need a decision-making-freeway to travel on. 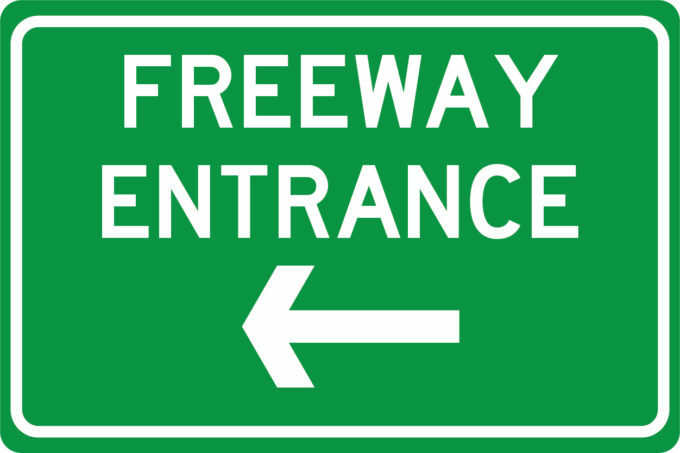 There are three stages of this “decision-making-freeway” metaphor we need to unpack: how does an issue get onto the leaders’ agenda (the on-ramp) … how do we drive it forward once it is under consideration (the freeway itself) … and how do we leave an issue gracefully and competently (the exit-ramp). Each stage is controlled and managed. There are certain “rules of the road” we have to observe. And everyone on the decision-road needs to understand and support how—together—we navigate our way towards a decision. If leadership groups want to move towards decisions with integrity and confidence, they need a decision-making-freeway to travel on. Freeways are, by definition, limited-access roads. You can’t get on the freeway anywhere and by any means. You have to find an on-ramp, an access point. In a similar way, the issues to be considered by church leaders must also be “limited-access.” Issues can’t come to leaders’ attention and discussion by any and every means. There has to be an on-ramp. Who decides what gets on the agenda and how? Do we understand the question? Do we know exactly what we are discussing and deciding? Do we have the information we need to discuss an issue intelligently and sensitively? Are we aware of who might be impacted by a decision on this issue? Have we spoken to them? Have we asked for their input? Do we have viable options to consider as we discuss an issue? Have we gathered the facts we will need to settle on an option? These are a few questions leaders need to ask and answer before they jump into a discussion of the issue itself. If the issue doesn’t fit our mission, why would we talk about it? If we don’t clarify the question, how canwe talk about it? If we lack relevant information, we can’t talk intelligently … all we can do is share opinion and swap ignorance. If we don’t know who will be impacted, we can’t talk sensitively and wisely. If we don’t have valid options, how can we possibly choose the option that is best? So take a good, long look at the “on-ramp” I’m proposing below. You may choose to proceed differently. You may decide a few of these steps are unnecessary. But some means of vetting issues, filtering them, and preparing for informed discussion is necessary for making group decisions. Opportunities for a church’s leaders to get together and discuss kingdom business are precious and important. Such occasions deserve forethought and planning. What gets on the agenda? How does it get on the agenda? Does anything and everything have a right to the leaders’ attention and time? Or is it legitimate for some trusted, wise leader(s) to limit the access issues have to the leadership group as a whole? This is not about control or preventing valid issues from reaching the group’s attention. It is, rather, an acknowledgement that the leadership group is well-served if someone is granted permission to vet issues by passing them through a few filters. 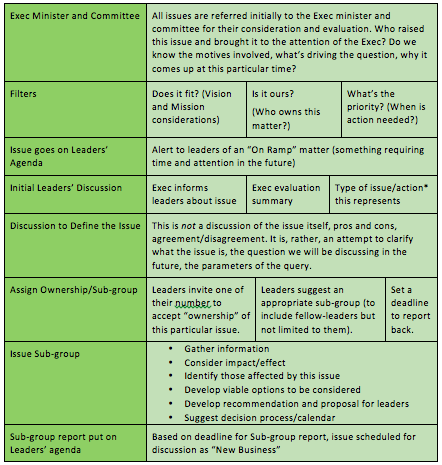 Question: Who sets the agenda for leadership meetings at your church? Is this issue/decision ours? Have you ever seen a leadership group invest time and energy discussing an issue and making a decision only to realize the issue properly belongs to the deacons or a ministry leader or the staff? Why not ask “Who owns this?” before an issue comes to the elders? What is the priority of this issue? Is it important or urgent or both? When is action required? How does this issue compare with other issues on the leadership-plate. Is now the right moment to give attention to an issue? Can it wait until a later time? Failing any one of these “tests” should be enough to keep an issue off the leadership agenda. If something doesn’t fit our church, if it doesn’t belong to the leadership group, and if it isn’t a high priority, why would we invest any effort when so many other on-point, leader-owned, high-priority matters clamor for our attentions? Question: Are issues coming before your church leaders vetted in any clear way? If something doesn’t fit our church, if it doesn’t belong to the leadership group, and if it isn’t a high priority, why would we invest any effort when so many other on-point, leader-owned, high-priority matters clamor for our attentions? If an issue passes these tests, it should find a place on an upcoming agenda. Label it as an “On-Ramp” matter—something that will require future time and attention. Note, however, that this first appearance of an item on the agenda is informational, not actionable. It’s an alert about upcoming business, not an item to be discussed and decided at this meeting. The “gate-keeper” is responsible to inform leaders about the issue, why it made the agenda, and what kind of action seems to be required (e.g., a decision, a pastoral visit, a new policy, etc.). Question: Do your leaders appreciate some warning about an upcoming discussion or do they expect to discuss an issue as soon as it is raised? Some brief discussion is probably warranted at this point to clarify the question. What exactly is being asked of us? What will we be discussing and what will we not be discussing? Note that this is not a discussion of the issue itself. It is a preparation for future discussion, a means of defining the question clearly before we engage in dialogue about it. 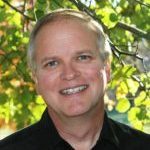 This helps prevent dreaded “discussion creep.” I’ve witnessed a practical proposal from a ministry leader devolve into a philosophical discussion of the ministry itself and become a critical evaluation of the ministry leader’s competence and giftedness. None of those topics is inappropriate for a leadership group to consider. But the question on the table at the moment involves a ministry proposal, not a free-for-all debate on the merits of the ministry and its leadership. If you want to debate such matters, ask the “gate-keeper” to put this discussion on a future agenda. Question: Do your leaders spend any time defining the issues they discuss? Once the question is clarified, it’s time to appoint an “owner.” One member of the leadership group needs to take responsibility for driving an issue up the On-Ramp and onto the decision-making-freeway. He might need help (so appoint another elder as a partner … enlist a ministry staff member to assist). The task of the “owner” (and his subgroup) is to develop a proposal that prepares his fellow-leaders to conduct an informed discussion. A deadline for this proposal should be established by the group as a whole. Question: Does your leadership group take seriously the old adage “Preparation is the key to success”? The proposal does not obligate the group. A recommendation is never rubber-stamped. But it will helpful as the group moves down the decision-making-freeway to have some specifics, in writing, that inform and encourage discussion. Question: Does your leadership group depend on such proposals or are they content to “wing it”? Now your leadership and this issue are ready to drive a decision down the freeway. Now members of your team are prepared to make meaningful progress. It took a while to navigate the on-ramp, but that investment of time and thought and preparation will ensure leaders know what they need to know, are discussing what they need to discuss, and have some decision-making options at their fingertips.